The variety of printing supplies available on the market makes us think twice before choosing the right cartridges. You are an owner of a printer that has been serving you well for a while, and one day you discover you are out of inks. At first sight, it seems easy to remove empty cartridges and put in new ones, but the reality bites. Your printer may actually use one or several cartridges (from one in monochrome laser printer to eight in professional color inkjet printer), generally two (black and color) or four separate color cartridges. Since inks or toners in cartridges are not consumed evenly, it is rarely that you have to replace the whole set of cartridges at once. Even if so, buying only four cartridges should not seem such a problem, however this is where the most interesting part begins. Visit your local computer store and you will likely find out there are way too more cartridges for your printer, not just four as you might think. What are all these cartridges and how to choose the right ones, that’s the question. To be sure you are making the right decision when choosing thes or those ink and toner cartridges, you should be well informed of what is what and who is who. For starters, you should know there are three types of cartridges: OEM, compatible and remanufactured. The thing to remember is that not every cartridge type is available for every printer model. OEM (Original Equipment Manufacturer) cartridges (also known as original or genuine) are made by the manufacturer of the printer for which it is intended. 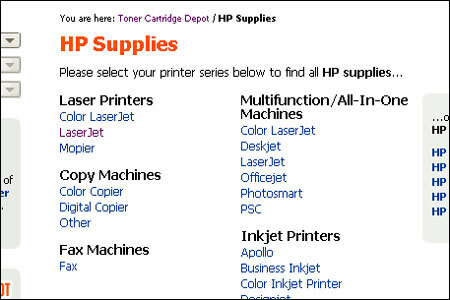 For example, an HP OEM cartridges have been specifically created by HP for use in HP printer, copiers or faxes. These are very much the same cartridges that you got with your printer. With them, you can be assured of producing prints with the same color and quality as you did with your original cartridges. Original manufacturers claim they have put a tremendous amount of time, knowledge and technology into OEM cartridges to deliver the best quality of print. This is on the one hand. On the other hand, these very time, knowledge and technology justify, according to original manufacturers, the cost of the genuine cartridges. Yes, of all type of cartridge original are the most expensive. Sometimes it will cost you more to get a set of replacement cartridges than to buy a new printer. Compatible cartridges also referred to as “off-brand” or “generic”, are cartridges manufactured by a company other than the printer manufacturer. Compatible printer cartridges are brand new alternatives to the OEM or original cartridges. They are not simply identical copies of genuine cartridges produces by side manufacturer, and have different design to avoid violating any copyrights. However, compatible cartridges are still 100% compatible with whichever printer they were designed to fit. There is another case for compatible cartridges. Some printer models of different brands are based of the same engine. 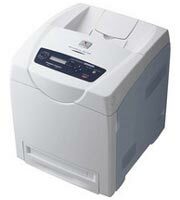 For example, early model of HP LaserJet printers were build using an engine made by and utilized in machines of Canon. Thus, “unintentionally” some HP and Canon cartridges were compatible and could be used in place of one another. Good thing about compatible cartridge is the price. You can save up to 50% and more on compatible cartridges over OEM. Besides, the compatible cartridges manufacturers promise, like, “their unique combination of components coupled with superior manufacturing processes and stringent quality control guidelines will provide superior print quality and guarantee to consistently meet and even exceed OEM performance”. If they both cheap and good, why don’t everyone use compatible cartridges? The truth is, theoretical “superior print quality” in reality can vary from one manufacturer to another. Poorly sealed toner cartridge can spill printer toner or ink formulation can cause some minor and not-so-minor color differences. However, don’t think that all compatible cartridges are like that. The quality of work and part depends on actual manufacturer. Find the one you can trust. Remanufactured cartridges are typically created for printers such as HP, Lexmark, Epson, Okidata and some others printers that cannot use compatible cartridges for legal reasons. These brands make cartridges that are rather complex and contain all the printing technology inside the cartridge as opposed to it being contained within the printer. This complex technology cannot be legally copied, so instead recycling companies collect the empty cartridges, strip them down, clean them out, refill them and then fully test them before sending the cartridges on to vendors. You can find out more on the remanufactured cartridges by reading about the truth and myths of remanufactured cartridges. Like the compatibles, remanufactured cartridges are often cheaper than OEM cartridges. The savings is usually not as great because remanufactured cartridges cannot be inherently mass-produced. Nonetheless, a seasoned customer can easily find savings of 50% in some cases. Quality of remanufactured cartridges also can vary from one re-manufacturer to another. Some simply “drill and fill”, literally. They make a hole in the cartridge, fill it with ink or toner, and cover the hole. However, a good toner re-manufacturer has a full quality control process for cleaning, filling, reassembling and testing. Now that you’ve learned who is who in the world of cartridges, you can easily pick cartridges that are right for you. the SCX-4500 will be sold exclusively at Apple Retail Stores until they are widely released in January 2008. “Samsung is consistently looking for opportunities to enrich and diversify the global printer market,” said Jang-jae Lee, Senior Vice President of the Digital Printing Division, Samsung Electronics. “In turn, we are thrilled to team up with Apple, a true leader in its field, for the U.S. release of our newest printers. The ML-1630 and the SCX-4500 include button-less touch-sensor panels that reduce the user interface. Plus audible alerts and blue LED scan-process indicators ensure that the devices are extremely user-friendly. “Samsung has taken the printer – which is often considered as an add-on device – to an entirely new level of artistic refinement,” Lee added. “These days, consumers are looking for products that are not only functional, but that also reflect their own personal styles.” Samsung’s new printers will available at Apple Retail Stores and apple.com. MSRP is $299 for the SCX-4500 and $199 for the ML-1630. Every time we go online, we expect the web to give us something new. Some news we receive “automatically”, like the e-mail messages from your friends or newsletters from your favorite website. Other information doesn’t come easy. To find it we often have to make a search. The search is what modern Internet relies on. Searching engines like Google, Yahoo or MSN has become an integral part on everyday life online. Can you imaging yourself digging through billions and billions of web pages looking for, once we’re into printers, the specification of a new printer or printer cartridge compatibility? Neither can I, and that’s why we all love searching engines – they are here for us trying to provide most relevant results. However, it’s not only the search engines that are expected to provide effective search. Now let’s fancy another situation: you’re up to buying something online, let it be toner cartridges (remember, we’re still into printers). If you have a favorite printer cartridges store, you would go there and make a purchase. If you don’t have a favorite store, I suppose you would use a searching engine to find one, and let’s suppose you have. What you’ve just done is made a search — selected one shop from thousand of others. The only thing left to do is to find those very cartridges for you particular printer. Do you know how many ink and toner cartridges exists? I’ m not sure there is an exact figure, but for what I know, average online printer supply store sell 3-5 thousand cartridges. I believe no one argues that every online store selling more than even a hundred different items should have a good search, or, at least, have the products categorized convenient and well. You would get to like a store where you can find the product you need fast and easy, wouldn’t you? What I’m going to tell you is not just singing praises to the online store of Toner Cartridge Depot. 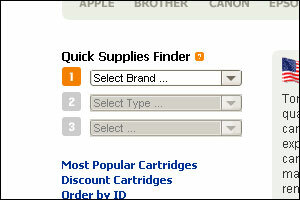 In fact, this printing supplies outlet does feature powerful search and handy navigation. Treat it like a guide to shopping with Toner Cartridge Depot. So, let’s assume you got to this store while searching for printer cartridges. What’s next? From now on you have several ways to find your supplies. On the main page, right before your eyes is the list of manufacturers/brands. 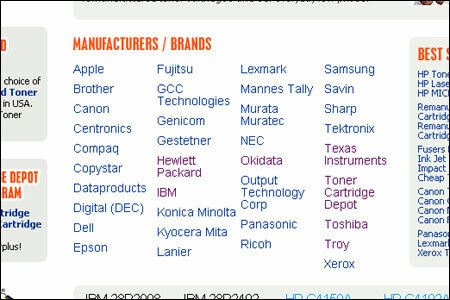 Generally, these are who made your printing device you are looking supplies for (though there are some who don’t make printers themselves, but only cartridges for other’s printer). Clicking the required brand (say Hewlett Packard) will take you further to next page. Here you can see types of devices produced by given manufacturer and model families existing for each type. The printer’s family name is usually written on its case. 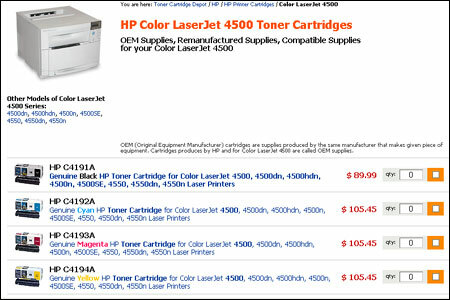 For instance, if you have an HP Color LaserJet 4500 printer, “Color LaserJet” would be the family name. Select your model family to move on. You landed on a page with a list of models existing within given model family. Now you are one click away from the supplies you need. 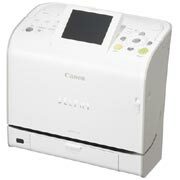 All you have to do is to select your printing device model. If you are not sure what the model’s name and number are, check them on the front panel of device’s casing. So choose the model and see what supplies we got for it. Apart from genuine supplies, a range of compatible and remanufactured cartridges is often available for some most popular printer models. As a rule, they are a bargain purchase, so you may consider them as well. This is a very handy navigation tool that allows you to find printer cartridges pretty much like in the Way 1, unless you don’t need to move from one page to another. Quick Supplies Finder is a set of three dropdown menus: the first menu selects a brand, the second one selects a device type, and while the third menu helps you chose your model. Having chosen the model, you will be transferred to a page containing supplies for that printing device model. Finally, Way 3, the highlight of today’s performance, the Toner Cartridge Depot search algorithm. This is a small input field in the top bar in upper-right corner of a page, but it’s more than meets the eye. The search is easier when you know what you are looking for, be it printer model or printer cartridge number. You simply enter one or the other into search filed and press enter. Should there any matches, you will see them in search results. But what if you, somehow, don’t know either model of your printer or the cartridge number? That’s pretty unusual situation, but the search rates just all right against general queries. Let’s suppose, you have some laser printer by HP and you ran out of color toner. Natural thing to search is “color toner cartridges for HP”. Voila! 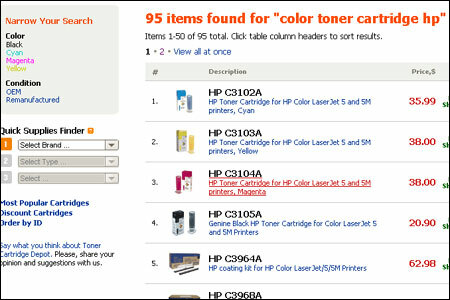 The search returns only color cartridges for laser printers made by HP. Additionally, you can narrow your search by several criteria like color, brand, supplies yield, condition and type. Oh, almost forgot! Also, you may sort the search results by order, description, price or quantity to be added. You can try entering any other queries of your choice or need. You are welcome to let us know if you get unexpected results. Here is another example of expanding application of inkjet technology. Last week Hewlett Packard announced that it had used its ink-jet printer cartridge technology to create a patch that releases drugs through the skin in a controlled and painless way. The company said it has entered into a licensing agreement with Crospon, an Irish medical device developer, who will manufacture the invention and make it available to pharmaceutical firms as soon as 2010. Patches that deliver medication through skin has long been around, for instance smoking patches. However they didn’t work for drugs that can’t be absorbed through the skin, and could only provide continuous flow of just one medication. The new patch acts very much like a ink cartridge that squirts different colors. 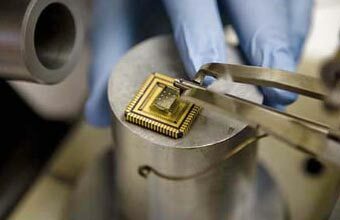 It uses micro-hypodermic needles controlled by a microprocessor to deliver particular drugs below the skin several at specified doses and time. This allows for timing sensitive medication delivery, which means it can be used for the treatment of diabetes, cardiac disease or hormonal imbalances. The price of the patch is expected to be relatively inexpensive because it is based on the same technology that has long been employed in HP ink cartridges. Researchers from IBM Corporation in collaboration with scientists from ETH Zurich Science and Technology Universityannounced the development of a new printing method that allows placing nanosize particles on a precise location. IBM cautions the technology has many years to pass before any commercial application is possible. So far, they demonstrated the effectiveness of the developed method by printing an image of the sun. 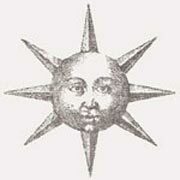 Back then in the 17th century, the sun was alchemist’s symbol for gold, so the researchers used 20,000 gold particles, 60 nanometers in diameter each, to create the image (courtesy of IBM). Still just a conceptual construct, the nano-printing process could be applied to biomedicine to help screen for diseases by graphically illustrating the locations of, say, cancer cells or heart attack markers in a patient’s body. In the information technology world, nanoprinting could be used to achieve the controlled placement of catalytic seed particles for growing semiconducting nanowires. Such nanowires are promising candidates for future transistors in microchips.